Eyes Luxury Mascara black - Carol Thompson Images, Inc.
What It Is Inspired by advancements in haircare technology, this 4-in-1 eye awakening mascara curls, volumizes, lengthens and sets lashes into place for all day wear. The ergonomic brush is designed to fit the contour of the eyes to individually coat each lash for maximum volume impact. Intense color pigments deliver luxurious drama. Hypoallergenic, paraben-free. What's Inside Hydrolyzed Keratin helps to fortify lashes. Panthenol conditions and strengthens lashes. Sodium Hyaluronate and Vitamin E condition lashes. 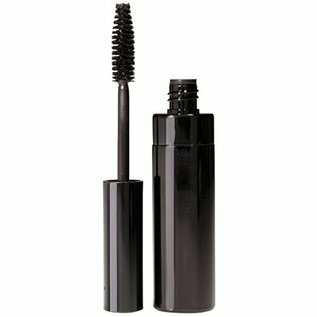 How To Use Apply generously to lashes in an upward motion, wiggling the bristles at the lash root to build thickness. Apply additional coats as desired. Water (Aqua), Paraffin, C18-36 Acid Triglyceride, Sodium Polymethacrylate, Acrylates/C12-22 Alkyl Methacrylate Copolymer, Butylene Glycol, Shellac, Potassium Cetyl Phosphate, Cetyl Alcohol, VP/Eicosene Copolymer, Isostearic Acid, Steareth-2, Steareth-21, Hydroxyethylcellulose, Laurdimonium Hydroxypropyl Hydrolyzed Keratin, Silica, Hydrogenated Lecithin, Panthenol, Tocopheryl Acetate, Tocopherol, Ascorbyl Palmitate, Polyquaternium-10, Pentylene Glycol, Polysorbate 80, Simethicone, Sodium Hyaluronate, Tromethamine, Sodium Dehydroacetate, Disodium EDTA, Phenoxyethanol, Caprylyl Glycol, Hexylene Glycol. May Contain (+/-): Mica, Iron Oxides (CI 77491, CI 77492, CI 77499), Titanium Dioxide (CI 77891), Ultramarines (CI 77007), Manganese Violet (CI 77742), Chromium Oxide Greens (CI 77288), Chromium Hydroxide Green (CI 77289), Carmine (CI 75470), Bismuth Oxychloride (CI 77163), Aluminum Powder (CI 77000), Blue 1 Lake (CI 42090), Yellow 5 Lake (CI 19140).